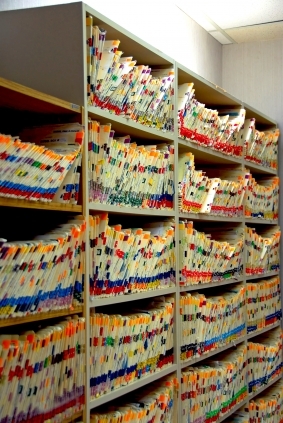 What holds up the processing of your disability case? I was recently reading some other blogs and came across a website and blog by Tim Moore, a former disability adjudicator who used to work for the Social Security Administration. Mr. Moore is now in private practice, a non-attorney accredited representative. He has an extensive website and blog. One of the questions he addresses on his website is, “What Holds Up the Processing of a Social Security Disability or SSI Claim?” He answers by stating that what often delays the processing is that the Social Security Administration is waiting to receive the claimant’s medical records. Even though they order them as soon as the claim has been filed, the medical providers often take time to respond. He notes that it is sometimes best for the claimant to provide the records to the Social Security Administration so that the time waiting may be reduced. Before filing a new initial claim I always order the records and then submit them directly to the Social Security field office immediately after I have filed the claim electronically. I recently though was at an interview in one of the field offices in San Francisco and the claims representative told me that he could not accept the records I was submitting because he was only permitted to fax 15 pages to the state agency disability examiner. I tried my best to smile and politely replied that perhaps he could mail them to the state agency. I suspect that the claim will be denied initially (as most are) and eventually when it gets to the hearing stage, I will be able to review the file and see if he actually submitted the records. I hope that at least by submitting the records at the outset, the case will proceed to a hearing faster than perhaps it would otherwise. This entry was posted in Disability application procedures, Health, Social Security Disability Law, SSDI, SSI. Bookmark the permalink.